Mopar's new Chrome Door Handle Insert Kit compliments the look of the 2008-2012 Liberty. 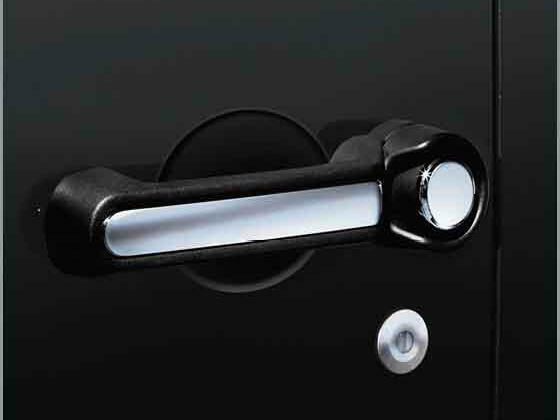 Chrome Door Insert Handle Kits are made of durable, ABS chrome plated plastic and are designed for fast and easy installation. Each kit contains chrome accents for each door handle. Liberty 4 Door Chrome Door Handle Kit. Great addition to the look of my Liberty. I bought this kit for my 2012 Liberty and I am very pleased. The inserts are easy to install and look terrific. To me it is a small refinement to the appearance of this rather plain (but rugged) looking vehicle. I recommend them.